Over a month ago, our ward had a fathers and sons camp out. This is an annual event which brings the men of the Church together to celebrate the restoration of the priesthood. I was excited – it was my first time taking my boys camping. I would be bringing my 7 year old and 5 year old with me. Not knowing what to expect and wanting to be prepared, I had a shopping spree at Wal-Mart! I purchased a huge tent, some sleeping bags, camping lights, flashlights, backpack, first aid kit and other miscellaneous items. Provisions included: pringles chips, trail bars, beef jerky and water. We drove out to an area 1.5 hours from the city on a Friday afternoon and found the camp almost on blind faith since the directions were vague. The tent was setup with the help of our Bishop and we were ready well before Sun down. For the fireside, I was asked to say the invocation prayer and then our Bishop began to speak about why we were out there. He called for young volunteers and then began to hand out signs which had names on it and it turned out to be his line of authority. He spoke of how his line of authority can be traced back to the even on earth that restored the priesthood in these latter days. At a later date, they were visited by a resurrected Peter, James, and John and conferred the keys of the Melchizedek Priesthood by laying their hands on Joseph and Oliver’s head. 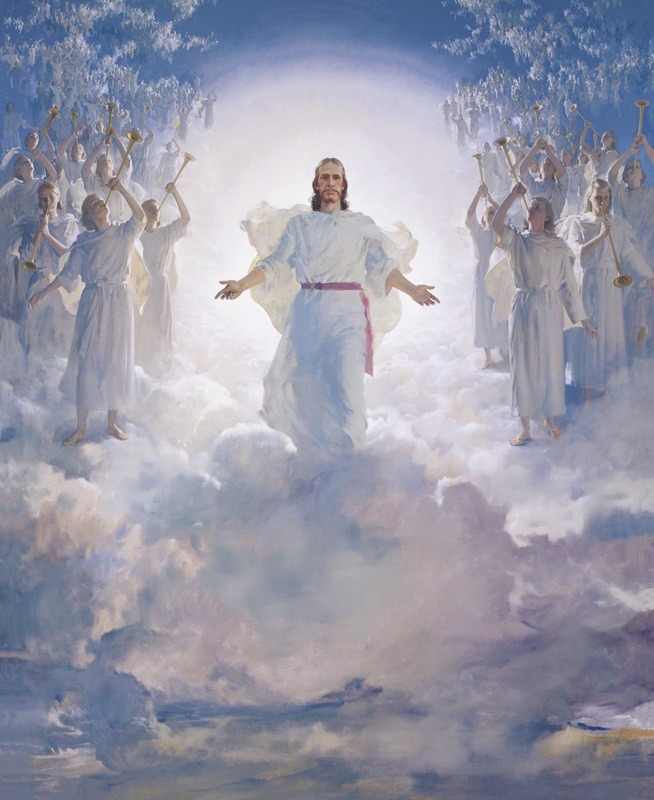 The Melchizedek Priesthood has the authority to baptize with fire or, in other words, give the gift of the Holy Ghost; to give blessings to the sick; and to administer in the ordinances and covenants of the Temple. It was a fun day. I had a lot of fun with my boys as did they with me. The food was terrific, especially the peach and apple cobbler! Of course with all the camping equipment we now have, I hope to take the family camping every few months! The tent I bought should last us a very long time. It was very empty even with myself and my two sons. Mom and our youngest would fit with no problem at all. Another interesting note that I learned: The line of authority for the Aaronic Priesthood gets replaced when receiving the higher priesthood – the Melchizedek Priesthood. I woke up and found that my wife was sick and that she wasn’t going to make it to Church. I wanted to roll over and not go to Church either after being up late the night before. Despite my better judgment, I almost did just that – until my youngest son walked in the room and I looked at him in his sweet, big, round eyes. At that moment I realized how important Church was and even if I didn’t want to go that moment, that it would benefit my children if I took them and if I tagged along. I felt humbled and shameful for even thinking that I should just sleep in. My priorities were jumbled. Then the verse “Children are an heritage of the Lord” (Psalms 127:3) came to my mind. “Children are an heritage of the Lord” (Psalms 127:3). Parents have a sacred duty to rear their children in love and righteousness, to provide for their physical and spiritual needs, to teach them to love and serve one another, to observe the commandments of God and to be law-abiding citizens wherever they live. Husbands and wives—mothers and fathers—will be held accountable before God for the discharge of these obligations. Rear my children in righteousness. In this case, I should observe the Sabbath day and take my children to church. I should teach my children by living a life as an example and going to Church every Sunday. These children, are not only mine, but of the Lord. And I have been given stewardship over them. I can remember taking my children to church by myself at least one other time back in December. It is these times I appreciate my wife herding the children in the chapel and lobby. I feel lucky that both times the kids generally behaved and didn’t give me too much of a hard time. Picking up my boys after class had its own rewards. The happiness and smiles from their faces after being in Sunday School made it more than worth it. Shortly after being baptized, a brother in the bishopric told me to begin a journal and write down my feelings and events that happened so I can read and reflect what I felt at the time. Also, it would be useful for my children and future generations to see what I was feeling as a modern day pioneer. I would soon find out where this sage advise originated from. Begin today and write in it your goings and your comings, your deeper thoughts, your achievements, and your failures, your associations and your triumphs, your impressions and your testimonies. We hope you will do this, our brothers and sisters, for this is what the Lord has commanded, and those who keep a personal journal are more likely to keep the Lord in remembrance in their daily lives. Just as Nephi kept records for the people who would come in the latter days, we should so the same. I’ve searched the internet for the perfect way to keep a journal electronically and recently came across a website whose purpose is for Latter Saints to Journal online – LDSJournal.com. This is convenient and keeps your entries safe. Entries can be made via a regular web browser on a computer or done mobile via text messaging. It also promotes consistent journaling through the reminder tools it provides. Best of all, it’s FREE! I’ve been trying it for a few days and it seems to be the ultimate solution. Here’s a video that was created to celebrate the 30th anniversary of The Church of Jesus Christ of Latter-day Saints’ action in June 1978 to extend its lay priesthood to men of all races. 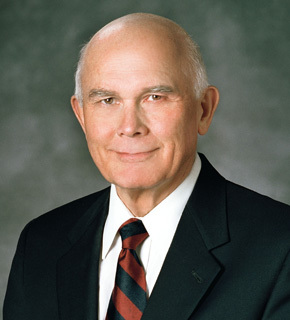 Besides President Monson’s talks from 178th Annual General Conference weekend, Elder Dallin H. Oaks who is a member of the Quorum of the Twelve Apostles, is the one that has stuck with me the most. The minute we begin preaching to others, our testimony has ended. That took me a few moments of pondering, but it makes absolute sense! Preaching is not bearing our testimonies. During a testimony, what do we mean when we testify and say that we know the gospel is true? When we say “I know this church is true,” what does that mean? Scientific knowledge is based on actual facts. We know it is cold because we can measure the temperature and our bodies react the freezing cold. We can prove this to others easily. Personal and Subjective knowledge is something that others must trust you on. Knowing you love your wife is only something you could really know. While not capable of scientific proof, it is still important. You can’t say that all important knowledge is based on scientific evidence. Scientific methods will not yield spiritual truths. To gain knowledge – you must desire it, then you ask for it. Testimonies are gained bearing them rather than on your knees asking for it. We need to partake of the Sacrament every week to qualify to have his spirit to always be with us. That spirit gives us testimonies. Children should hear us bear our testimonies frequently. Let them define themselves by bearing their own testimonies and building. When we have a testimony of the restored gospel we also have a duty to share it. We have a duty to clarify doctrine for others, rather than let others misrepresent. We should speak in mildness and meekness, never be overbearing, shrill or reviling. We should speak the truth in love. Anyone can disagree with our personal testimony but no one can refute it. Members who have a testimony and act upon it under direction of church leaders are accused of blind obedience. Our obedience is not blind but comes from the knowledge we gain through our testimonies. When it comes to learning and knowing the truth of the gospel, our personal testimonies, we all have a personal witness of the Jesus Christ and God through the power of the Holy Ghost. We can be united in following our leaders and independent for knowing for ourselves. Through our Leaders and Prophets. This channel has to deal with doctrine, ordinances and commandments. This results in obedience. Personal Testimony. The existence of God, our relationship to him and the truth of the restored gospel. These two channels are mutually reinforcing. Obedience is not blind when done in knowledge. Choice to follow teachings is not blind obedience. I began writing this post write after this session but never got around to finishing it until now. Since then, the actual transcript of Elder Oaks’ talk can now be found on lds.org by clicking here. Sit down with a physical, tangible book to read and turn pages. Sit in front of a computer or hand held device to read. Scrolling down to read further. Initially I opted for the physical method of sitting down with the actual book. Something lacks from sitting in front of a laptop that can’t be duplicated in electronic form. Reading a real book involves touch of the paper and the ability to hold the scriptures in your hand. Having the actual book with you on Sundays seems to be the better option, as in the case when you’re taking classes the electronic device, in my mind, shouldn’t be used as it can be distracting. These days I find myself more so using the online scriptures at scriptures.lds.org. Its easier to access than carrying around my quad around and I really don’t like to take that into work. When I first started investigating and more recently when trying to get back into a strong habit of reading / studying in the morning and evening and doing it daily. In the morning I’ll try to take the first 5 or 10 minutes of the day to read a chapter. Occasionally when I have an extra 5 minutes I also utilize the free eBooks I found on the internet that fit on my blackberry. The convenience factor is a large factor in using the electronic form of the scriptures. Besides convenience, it is also easier to find a phrase or word in a chapter by searching the page. The search features in scriptures.lds.org also work well. In the search bar of my browser or at google.com‘s home page I search the scripture site by typing in the search box “site:scriptures.lds.org [insert word or phrase here]” Make sure that you have quotes around a phrase if you are searching for a phrase. For example, if I want to search for “Spiritual Eyes” on scriptures.lds.org I would do this search. Also, the functionality built in to the scripture site, like clicking on footnotes and the cross-referencing is very useful as well and can be done with great speed than using an actual book. Either way, I suppose it doesn’t matter about the delivery of the book as long as it is understood and taken in with an open mind and an open heart.